Looking for good card games for kids and family fun? We have created this list of recommended card games for kids. A family that plays together, stays together and card games can be a very good way of having loads of family fun! It is a much better kids indoor games than video games as it teaches them valuable skills like planning and creative thinking as they learn to play by the rules and try to emerge victorious. It is especially a much better option when the weather outside is inclement and the kids can amuse themselves at the comfort of their home. It also is capable of teaching kids math and memory skills, while having fun with their friends and family. What Kids Learn From Card Games? Card games are mainly focused on fun. However, they are also fun way to teach kids a few important things. Handling cards in their tiny hands requires good motor skills and grip. Most kids around age of 6 or lower would struggle arranging cards in their hands easily. While playing cards they may no notice that they have already learned to hold card facing them. Reading cards and scanning all cards before making your next move is important for any card game. This will make them expert at quick eye scanning. Playing games with rules is an important skill to learn for young kids. Card games require multiple players and each player need to follow rules of the game to truly have fun. Young kids may tend to think they can always win, however following rules makes it difficult for them. It can be very difficult to teach kids about taking turns. Card games are ideal for teaching them this skill since they can not have fun until everyone gets their turn. Young kids are so much involved in their toys and playing activities that they may not learn to be part of group games. 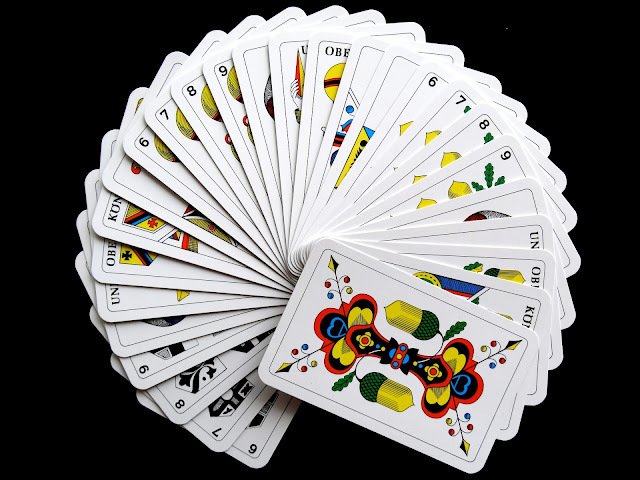 Card games can be played indoor within family and it gives them opportunity to learn about playing with others. Card games are fun, however you can not always win. This becomes clear to kids once they have played few games following all rules. This is an important life lesson they learn very easily. At the same time they know that it is fun to play game and winning becomes less important as they grow. Uno is the classic game of card matching by colour and numbers, one which is super-addictive and amazing fun. It is one of the most fun card games for 8 year old kids as it is very easy to pick up and exciting with its action packed Wild cards. The creators of UNO bring you another entertaining sequencing card game which is sure to test your card skills and strategy on the quest to stack cards sequentially in piles. Try to finish all your cards before your friends and be crowned the ultimate winner while having loads of fun! 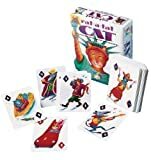 This multi-award winning card game of cat and mouse is sure to help kids develop their memory and basic math skills as they test themselves in this game of probability as they look to get rid of high rat and go for low cat picture cards. This is a favourite card game among kids who love animals as they look to help Primo the monkey restore order at his party by chasing away naughty animals via an exciting card swapping game. Join the fun as we rush to see who is able to stop the monkey mayhem! Get ready for more crazy animal fun as kids play this card matching game to control an unruly herd of Moose who have invaded the house! Match cards to close doors and set traps as you safeguard your house and give your friends the moosey trouble. In the magical fantasy land of sleeping queens of confectionaries, knights and dragons and other fairy land creatures, kids have fun and learn memory tricks and basic math skills as they go on a ride in the wonderland of magic spells and potions as they challenge their friends to a contest of waking up sleeping queens. Let your kids escape in the magical aquatic world in one of the best and classic card games for 2nd graders as they venture into the sea and learn about numbers and counting. This game is a fun way of teaching your kids the joy of cooperative turn based play and makes a great present! This beautiful set of visually appealing cards is sure to grab the attention of kids as they play with friends and family to avoid being the old maid! It's a classic game of matching and pairing which teaches kids about numbers and keeping a poker face! As the name suggest, Blink is a game which tests your keen eyes and lightning-fast reflexes as you battle your friends in the race to finish your cards in hand by matching them by colour, symbols and numbers with the cards played by the opponent. It's a simple yet addictive game of rapid fire card play. Kids who love Uno are sure to love this rummy-like game of card sequencing the aim of which is to create phases of cards by number and colour in order to advance to the next hand. Race your friends as they try to create more phases combinations and be the first one to complete 10 phases to be victorious! Five crowns is the award-winning unique card game with 5 suits (clubs, hearts, spades, diamonds and stars) and with a rummy-like concept. It has a rotating wild card which keeps the game exciting and entertaining. Players rush to make combinations and be the one to finish as the rest try to make the most of their cards!